Manufacturer of a wide range of products which include xylanase, fungal alpha amylase, bacterial alpha amylase, amyloglucosidase, lipase and nattokinase. 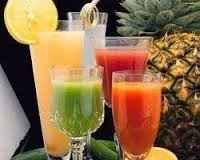 We are among the famous firm in the industry for offering an extensive array of Xylanase to our esteemed clients. The offered assortment of product is a naturally-occurring enzyme commonly found in microbes and fungi that can play a vital role in human digestion. Apart from this, we are providing these products at leading market prices. 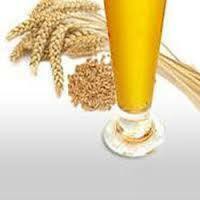 Our organization set a benchmark in the industry by providing a wide gamut of Fungal Alpha Amylase in the market. The offered quality approved collections of products are prepared using high-quality ingredients and available in various packaging options for fulfilling the assorted demands of our customers. We are widely known for the timely delivery of these products as well. And these are used in bakeries to improve the bread quality. 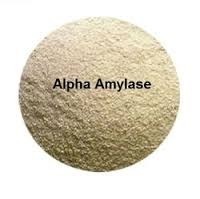 In order to satisfy the variegated demands of our valuable clients, we are offering them a perfect range of Bacterial Alpha Amylase. These are enzymes catalysis the hydrolysis of internal α-1,4-glycosidic linkages in starch in low molecular weight products, like maltose, glucose, and maltotriose units (29, 42, 66). Additionally, these are offered to the clients at affordable rates within the committed period of time. 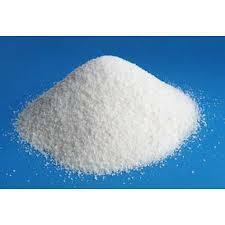 Amyloglucosidase is an extracellular enzyme that converts starch to dextrins and glucose. 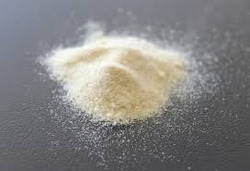 The enzyme is used in the starch-processing industry for the commercial production of D-glucose from corn syrups. a pancreatic enzyme that catalyses the breakdown of fats to fatty acids and glycerol or other alcohols. Natto has been used as a folk remedy for diseases of theheartand circulatory system (cardiovascular disease) for hundreds of years. Nattokinase, the chemical in natto that is probably responsible for its effects, was discovered by a University of Chicago researcher, Dr. Hiroyuki Sumi. 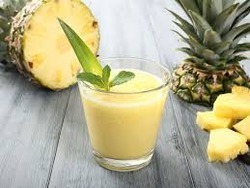 Bromelain is used for reducing swelling (inflammation), especially of the nose andsinuses, after surgery or injury. 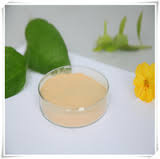 It is also used for hay fever, treating a bowel condition that includes swelling and ulcers (ulcerative colitis), removing dead and damaged tissue after a burn (debridement), preventing the collection of water in the lung(pulmonary edema), relaxing muscles, stimulating muscle contractions, slowing clotting, improving the absorption of antibiotics, preventing cancer, shortening labor, and helping the body get rid of fat. Catalase is a common enzyme found in nearly all living organisms exposed to oxygen (such as bacteria, plants, and animals). It catalyzes the decomposition of hydrogen peroxide to water and oxygen. 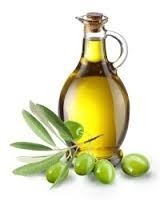 It is a very important enzyme in protecting the cell from oxidative damage by reactive oxygen species (ROS). 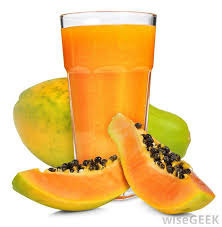 Papain is used for pain and swelling (inflammation) as well as fluid retention following trauma and surgery. It is used as a digestive aid and for treating parasitic worms, inflammation of the throat and pharynx, shingles (herpeszoster) symptoms, ongoing diarrhea, hay fever, runny nose, and a skin condition called psoriasis. 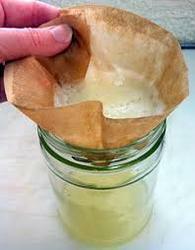 Papain is also used along with conventional treatments for tumors. Some people apply papain directly to the skin to treat infected wounds, sores, and ulcers. Aspartic proteases are a catalytic type of protease enzymes that use an activated water molecule bound to one or more aspartate residues for catalysis of their peptide substrates. In general, they have two highly conserved aspartatesin the active site and are optimally active at acidic pH. Nearly all known aspartyl proteases are inhibited by pepstatin. Aspartic endopeptidases EC of vertebrate, fungal and retroviral origin have been characterised. More recently, aspartic endopeptidases associated with the processing of bacterial type 4 prepilin and archaean preflagellin have been described. Pectinase is an enzyme that breaks down pectin, a polysaccharide found in plant cell walls. Commonly referred to as pectic enzymes, they include pectolyase, pectozyme, and polygalacturonase, one of the most studied and widely used [citationneeded]commercial pectinases. 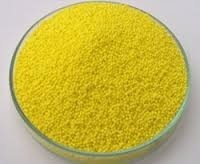 With the customer focused approach and vast industrial experience, we are providing a wide array of Betaglucanase as required by our valued clients. It represents a group of carbohydrate enzymes which break down glyosidic bonds within beta-glucan. Apart from this, we are providing these products at leading market prices within committed period of time. A novel cellulase gene encoding a thermostable endoglucanase from the thermophilic eubacterium Fervidobacterium nodosum Rt17-B1 was cloned and expressed, which is the first cellulase cloned from the organisms of genus Fervidobacterium and designated asFnCel5A for being a member of glycoside hydrolase family 5, and the enzymatic properties were characterized. The cellulase was overexpressed in Escherichia coli with a high protein content and good solubility in water, and could be easily purified. 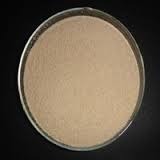 Acid beta-mannanase is acid-resistance and thermostable natively with high enzyme activity and good characteristics. 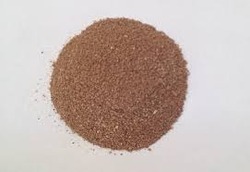 It can hydrolyze the glucosidic bond into the beta-manna specially and then release the oligosaccharide in order to remove the anti-nutrition factor, improve the digestibility, increase the feed energy and reduce the cultivation pollution. 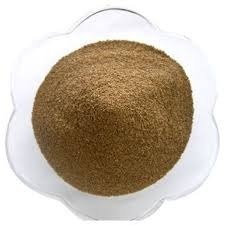 A phytase (myo-inositol hexakisphosphate phosphohydrolase) is any type of phosphatase enzyme that catalyzes the hydrolysis of phytic acid (myo-inositol hexakisphosphate) – an indigestible, organic form of phosphorus that is found in grains and oil seeds – and releases a usable form of inorganic phosphorus. Functional attributes of a thermostable β-(1→4)-mannanase were investigated from Clostridium thermocellum ATCC 27405. Its sequence comparison the exhibited highest similarity with Man26B of C. thermocellum F1. The full length CtManf and truncated CtManT were cloned in the pET28a(+) vector and expressed in E. coli BL21(DE3) cells, exhibiting 53 kDa and 38 kDa proteins, respectively. On the basis of the substrate specificity and hydrolyzed product profile,CtManf and CtManT were classified as β-(1→4)-mannanase. A 1.5 fold higher activity of both enzymes was observed by Ca2+ and Mg2+ salts. Plausible mannanase activity of CtManf was revealed by the classical hydrolysis pattern of carob galactomannan and the release of manno-oligosaccharides. Notably highest protein concentrations of CtManf and CtManT were achieved in tryptone yeast extract (TY) medium, as compared with other defined media. Both CtManf andCtManT displayed stability at 60 and 50 °C, respectively, and Ca2+ ions imparted higher thermostability, resisting their melting up to 100 °C.